Several weeks ago, Juice published an article about the redevelopment of Walnut Street as a pedestrian entertainment and retail district. "It has to be urban. It has to be sophisticated, but it has to be cool - cool in a gritty way," said Glen Lyons, president and CEO of the Downtown Community Alliance. I totally agree. Cities need to capitalize on what makes then different from the suburbs in order to succeed. Where we depart is our understanding of how "cool in a gritty way" is created. I believe it takes gritty people making gritty things to create that cool... it can't be manufactured authentically by out-of-town consultants. It develops organically in places and spaces that are not inherently cool. 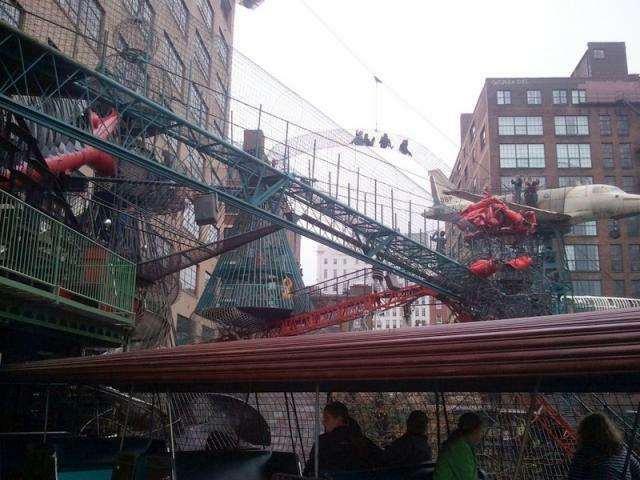 Case in point: the City Museum in St. Louis. 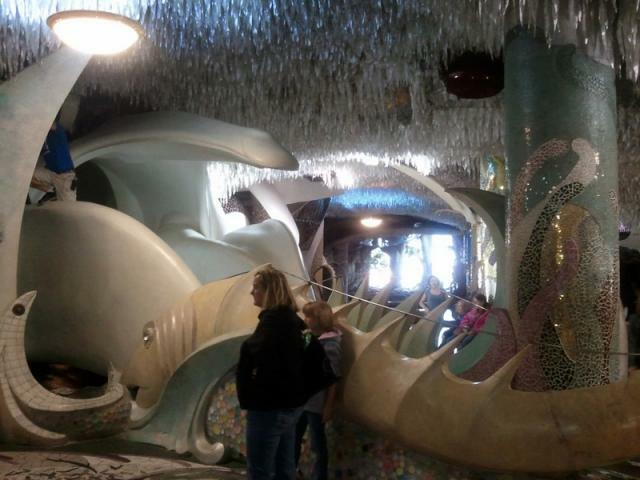 Created by a renegade sculptor (who incidentally passed away a couple years ago while working on his next massive project), the City Museum started as an unsanctioned project in a vacant 10-story warehouse north of the just-burgeoning loft district on Washington Avenue. The artist community that developed around this project has transformed the structure piece by piece into a massive and, well, gritty entertainment venue complete with 10-story slide, a bus and an airplane cantilevered over pedestrians below, a circus, and a 100-foot whale made out of concrete. Outdoor Steel Climbing Structure: Now THAT is "gritty".